Susan Moran has written 79 articles so far, you can find them below. New Theory of How Cancer Evolves Inside Us (start time: 0:58): It is commonly known that cancer afflicts old people more than youth. Conventional wisdom has held we get cancer with age largely because we accumulate lots of genetic mutations over many years, and it’s the mutations that cause cancer. Our guest, Dr. James DeGregori, deputy director of the University of Colorado Cancer Center, discusses with host Susan Moran his new theory–one that challenges conventional wisdom–about why and how we get cancer. 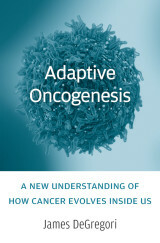 In his new book, called Adaptive Oncogenesis: A New Understanding of How Cancer Evolves Inside Us, DeGregori argues that cancer is as much a disease of evolution as it is of mutation. Mutated cells outcompete healthy ones in the ecosystem of the body’s tissues. Dr. DeGregori is a professor in the Department of Biochemistry and Molecular Genetics at the University of Colorado Anschutz Medical Campus. It’s tough to wrap one’s mind around just how monumental and consequential the problem of climate change is. 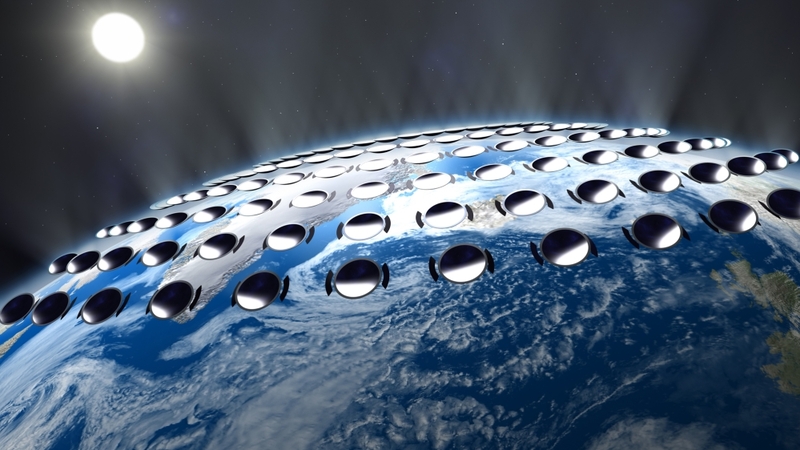 So dire that scientist and engineers for years have been exploring ways to “hack” the planet–to manipulate the global climate system enough to significantly reduce planet-warming gases or increase the Earth’s ability to reflect solar radiation. This audacious scheme, called geoengineering, only exists because many scientists think that human behavioral change, industry regulations, international treaties and national legislation, have not done enough — can not do enough – to keep us from careening toward climate catastrophe. Our guests today have given this huge challenge a lot of thought and some research. Dr. Lisa Dilling is an associate professor of Environmental Studies at CU Boulder and a fellow at the Cooperative Institute for Research in Environmental Sciences, or CIRES. Dr. David Fahey is a physicist at the National Oceanic and Atmospheric Administration, or NOAA. He directs the Chemical Sciences Division at NOAA’s Earth System Research Lab in Boulder. 2015 National Research Council committee evaluation of proposed climate-intervention tchniques. The Unnatural World (start time: 6:58): It’s an audacious topic for a book: the planet, and audacious individuals who are working to save — actually, to remake — human civilization and our home on Earth. David Biello is the science curator at TED and a contributing editor at Scientific American. 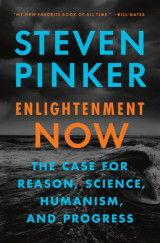 His debut book, The Unnatural World: The Race to Remake Civilization in Earth’s Newest Age (Scribner), will be out in paperback next month. It explores how we have altered “nature” in so many ways, from burning fossil fuels and warming the oceans and atmosphere, to tearing down tropical rain forests, to killing off so many species. 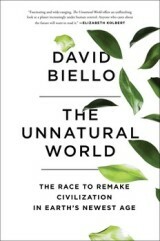 In this newest epoch, dubbed by many the Anthropocene, humans are not just messing things up; they are also inventing solutions, as Biello notes. Daring optimists in his book include Elon Musk and his Tesla electric cars and trucks. Biofuels Tradeoffs (start time: 8:27): In this week’s show David DeGennaro, an agriculture policy specialist with the National Wildlife Federation and author of a report called “Fueling Destruction,” talks with host Susan Moran about the environmental consequences of biofuels, and about possible solutions. 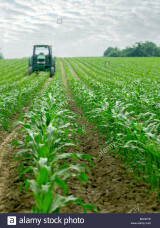 The Environmental Protection Agency has proposed maintaining record support for biofuels, namely corn. Last week the EPA ended an open public comment period leading up to a decision to maintain, increase or scale back its current support of biofuels as part of the Renewable Fuels Standard, a federal mandate to blend corn-based ethanol and other renewable fuels into conventional gasoline. NWF and some other environmental organizations, along with former California Congressman Henry Waxman, have been urging the EPA and Congress to reduce biofuels mandates. Increased demand for corn has led to the conversion of millions of acres of habitat-rich grasslands and into croplands — all without significantly reducing greenhouse gas emissions. Extraterrestrial intelligence? (start time: 6:30): It’s mid-summer, a time when many of us like to spend leisurely time outside at night, gazing at the stars and planets, and asking the big existential questions, such as, Are we alone? Is there intelligent life waaay out there? Our guest today, science writer Sarah Scoles, has pondered these questions for several years. 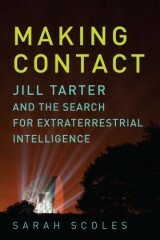 She discusses with hosts Susan Moran and Joel Parker her just-published biography, Making Contact: Jill Tarter and the Search for Extraterrestrial Intelligence. Tarter, an astronomer, directed the Center for SETI (Search for Extraterrestrial Intelligence) Research. Carl Sagan’s 1985 novel Contact” illustrates Tarter’s astronomical work. In the 1997 movie Contact (stemming from Sagan’s novel) actor Jodi Foster played a character who was loosely based on Tarter. We offer two feature interviews on today’s show. Chronic Fatigue Syndrome (start time: 11:49) Imagine spending years waking up so sore and fatigued many mornings that you can barely move. And traversing the country to find doctors who could offer a clear diagnosis, only to find out they don’t really know. And feeling your friendships and professional relationships start to fray, as people question whether you’re making up your illness. For those who have suffered from chronic fatigue syndrome (CFS, or ME), or a similar disease, Julie Rehmeyer’s story may sound painfully familiar. 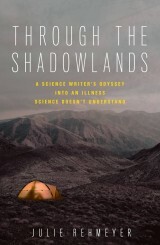 The science and math writer talks with host Susan Moran about her new book about the illness, called Through the Shadowlands: A Science Writer’s Odyssey Into an Illness Science Doesn’t Understand. Rehmeyer will speak about her book on Thursday at 7:30 p.m. at the Boulder Book Store. Renewable Energy Debate (start time: 3:20): A bitter scientific debate, as reported in the Washington Post, has surfaced among two scientific groups that are both pushing to decarbonize U.S. electricity generation. On one side are experts such as Boulder mathematician Christopher Clack, who contends in a new analysis that the U.S. can cut its carbon emissions by nearly 80%, using existing technologies, by 2030. On the other side of this feud is Mark Jacobson, an atmospheric scientist and engineer at Stanford University. He claims the nation can move to 100% renewable energy by 2055. This week, in a peer-reviewed analysis published in the Proceedings of the National Academies of Sciences, Clack and colleagues call Jacobson’s vision of 100% renewables unrealistic, and says his calculations and modeling are full of errors. Jacobson and his group have countered Clack et al’s analysis is full of errors. 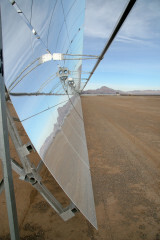 Dr. Clack, founder of Vibrant Clean Energy and with NOAA and the University of Colorado Boulder when he conducted this research, talks with host Shelley Schlender about the science, the debate, and what it means for the pursuit of clean energy. Protecting Pollinators (start time: 0:58): Hills, prairies and gardens are neon green and in full bloom. A pollinator’s paradise, at least it should be. Birds, bees, butterflies, beetles and other pollinators rely on the nectar from flowering plants. We humans rely on them; roughly one out of every three bites we take comes from food that would not exist if not for pollinators. National Pollinator Week is June 19 – 25. 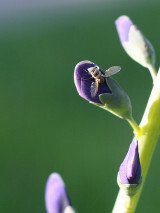 It will celebrate pollinators and promote how humans can help protect them. Vicki Wojcik, research director at Pollinator Partnership, an organization that focuses on conservation, scientific research and education aimed at preserving pollinators, talks with host Susan Moran. Resources: Bee Safe Boulder (People and Pollinators Action Network), Colorado State Beekeeper Association, and Butterfly Pavilion. A well site next to Silver Creek elementary school in Thorton, Colo.
Drilling’s Health Impacts (start time: 7:50): A pressing question on the minds of many Colorado residents, health experts, and others amidst a surge of oil and gas activity is this: Does living near an oil and gas well harm your health? 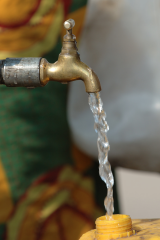 A scientist at the forefront of exploring such questions is Dr. Lisa McKenzie, a professor of environmental epidemiology at the Colorado School of Public Health at the University of Colorado Anschutz. She is the lead author on a recently published study that examines the potential impact of nearby oil and gas drilling on childhood cancer rates. The study’s important findings were challenged by the state Health Department, whose recent assessment concludes that nearby oil and gas operations poses minimal risk to residents. Dr. McKenzie talks with How On Earth’s Susan Moran about her study, and the complex science of risk, correlation and causation.